This is a major, wide-ranging history of analytic philosophy since 1900, told by one of the tradition's leading contemporary figures. The first volume takes the story from 1900 to mid-century. The second brings the history up to date. 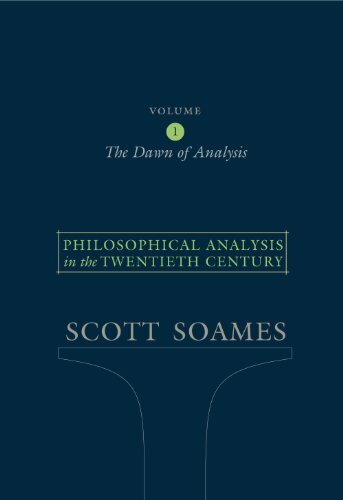 As Scott Soames tells it, the story of analytic philosophy is one of great but uneven progress, with leading thinkers making important advances toward solving the tradition's core problems. 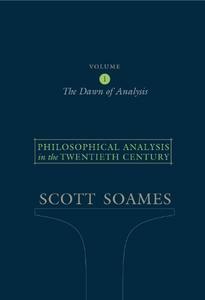 Though no broad philosophical position ever achieved lasting dominance, Soames argues that two methodological developments have, over time, remade the philosophical landscape. These are (1) analytic philosophers' hard-won success in understanding, and distinguishing the notions of logical truth, a priori truth, and necessary truth, and (2) gradual acceptance of the idea that philosophical speculation must be grounded in sound prephilosophical thought. Though Soames views this history in a positive light, he also illustrates the difficulties, false starts, and disappointments endured along the way. As he engages with the work of his predecessors and contemporaries–from Bertrand Russell and Ludwig Wittgenstein to Donald Davidson and Saul Kripke–he seeks to highlight their accomplishments while also pinpointing their shortcomings, especially where their perspectives were limited by an incomplete grasp of matters that have now become clear. Soames himself has been at the center of some of the tradition's most important debates, and throughout writes with exceptional ease about its often complex ideas. His gift for clear exposition makes the history as accessible to advanced undergraduates as it will be important to scholars. Despite its centrality to philosophy in the English-speaking world, the analytic tradition in philosophy has had very few synthetic histories. This will be the benchmark against which all future accounts will be measured.